In several vaccine lectures that I have attended in the past four years, the most current information from our premiere veterinary vaccine researchers, Dr. Ronald Schultz (Immunologist) and Dr. Richard Ford, (Infectious Disease Professor, Clinical Director of NC College of Veterinary Medicine), is that Leptospirosis vaccines are not recommended vaccines.1, 2 Dr. Ron Schultz, who lives in a Leptospira endemic area of the country, still does not recommend the Leptospira vaccines and does not vaccinate his own dogs.3 It may be helpful to peek at his list presented here Instant Information on ii Adverse Vaccine Reactions. Indeed, when I requested the epidemiological information on Leptospirosis in the Commonwealth of Massachusetts prior to a lecture promoting Leptospirosis vaccines in dogs, I found that Massachusetts had never had even one case of Leptospirosis reported in humans since they started looking for Leptospirosis 5 nor were any cases of Leptospirosis reports in dogs confirmed for the Commonwealth of Massachusetts. 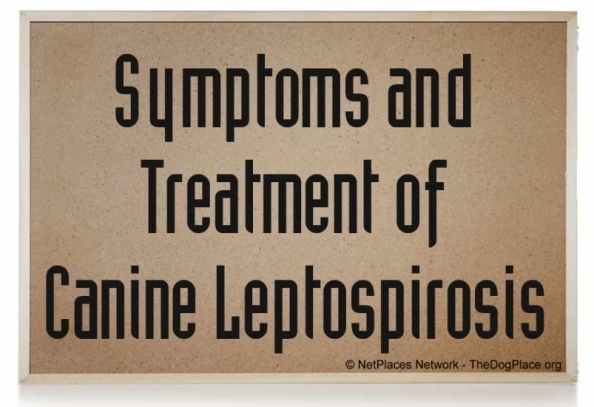 Again, I gathered this information for the purpose of properly understanding the true status of the Leptospirosis disease and the need for a preventative program within the veterinary clinical setting. Researching the areas of the world that are trouble spots of Leptospira exposure - Okinawa, Philippines, Sri Lanka, Malaysia, Indonesia, Brazil, Cuba, Guatemala, Borneo - most of the areas that suffer from this disease in a natural setting, have a number of common environmental parameters: standing water or flooding, post hurricane flooding and tropical areas of increased water fall. US military personnel have seen infections with Leptospira when at duty in stations in tropical and subtropical locations. 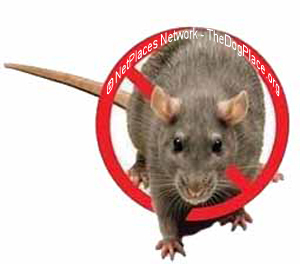 Another factor to consider with Leptospirosis is the presence of rat infestations. This can be found in slums of Brazil and the crowded areas of rat infested alleys of the NY Bronx, to the rat infested prisons of Malaysia. Sewer workers in China are exposed to Leptospirosis; post flood waters from hurricanes in Cuba bring predictable exposure to Leptospira. There is also a seasonality of autumn associated with the disease. People and animals exposed to infected areas of water, ponds and smaller lakes, hunters and people taking part in water sports are at risk in selected reservoirs harboring pathogenic serovars of Leptospira. Occupations exposing the workers to animals - as in butchers and slaughterhouse workers - are at increased risk, as are veterinarians and farmers. One dairy maid in the UK lost a pregnancy at 23 weeks due to the first known case of human intrauterine exposure to Leptospirosis.6 A caution to handling the tissues of any animals that could become infected with pathogenic strains of Leptospirosis would be prudent to note; namely in cows, pigs, and dogs. Understanding the factors that increase the risk of exposure to Leptospirosis is necessary to avoid Leptospirosis exposure. In 2008 there was a report of the use of Leptospirosis as a biological warfare weapon in Somalia, the pathogen being added to the drinking water supply of soldiers.7 A newly reported reservoir of Leptospira in bats is also a matter of study .8 California sea lions and harbor seals have been found to carry Leptospira and Japan has found Leptospira in flying squirrels imported from the United States as pets from Texas.9,10 Other than these aforementioned areas, the fact is that the typical veterinary patient in the continental United States will not be at risk nor exposed to a pathogenic serovar of this organism that is nevertheless listed as the most rapidly growing zoonosis in the world. So, if exposure to Leptospirosis is so specific, if there are known adverse events, and if there is a lack of protection from the vaccines in humans, why are Lepto vaccines promoted for dogs in the United States, or in the United Kingdom or in Australia? Dr. Jordan's 5 Star Rated Amazon book (below) is now available as an e-book! 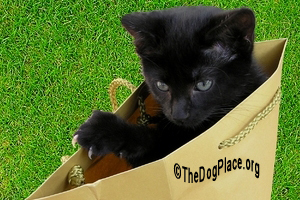 Learn how to protect your pets from over-vaccination disease. The public and the veterinary doctors usually do not know that this vaccine does not confer immunity. Challenge studies are rarely done and the studies I have evaluated are conflicted and ineffective in measuring immunity in vivoo35, 36 Production of Leptospira vaccines are expensive and labor intensive to the drug companies who must recoup the precious monies spent to have brought them to market. Is this enough of a reason to allow the adverse events that follow use of this troubled vaccine? Why is this? The truth is that veterinarians are painfully inept at discussing the facts surrounding Leptospirosis because the bulk of their information comes from the very drug companies that stand to profit or at least recoup the many monies this troubled vaccine has cost their corporations. As reported by clients; Anaphylaxis, anorexia, fever, dehydration, autoimmune disease, digestive issues, limping, loud vocalization following vaccination, acute organ failure, renal failure, liver failure, pancreatitis, death, dermatitis, puritis, cancer, degeneration of soft tissue - all of these are reports following administration of the Leptospira vaccine. Here is another important fact of vaccine use in general… vaccines are being linked to death, disease and chronic disability. 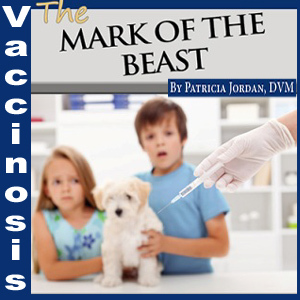 Vaccines - because of the immunopathology they activate once the jab has been delivered - are responsible for the disease that results in those receiving the jab. Immune reaction to the soup of ingredients delivered in the jab result in autoantibody production.40 Microbial antigens can also elicit autoantibody production.41 Indeed vaccines are now found to be responsible for autoantibody production, autoimmune disease, and cancer! The immunogenetics of autoantibody and autoimmune diseases are under genetic control; however the inciting disturbance to elicit gene response is from the jab itself.42 Vaccines lead to mutations of the genome, autoimmune disease in one generation leads to genetic disease in the next. Vaccines generate genetic impact that not only determines the severity of the immune response in natural infections but also dictates response from tissue histocompatibility markers and the expression of autoimmune disease with repeated exposure to antigens with subsequent vaccine administrations. The histocompatibility markers on the tissues are also reactive to the results of the jab. The genetic compromise that occurs to anyone’s genome receiving the jab has never been researched by the drug manufacturer’s that produce vaccines and therefore prove that vaccine safety and efficacy have never been determined by the government regulatory agencies that license and unleash these products upon the populations. This brings more understanding to the statement in the book ‘Vaccination Examining the Record’ by Judith A. DeCava: “a person not vaccinated has ONE RISK, catching the disease, where a vaccinated person has TWO RISKS; catching the disease and damage from the vaccine”.47 We now know that the vaccines have not been safety tested and they have not really been proven effective in providing true immunity. The immune system reactivity vaccines are responsible for can be the expression of the adverse events and diseases that follow vaccine administration.48 Specific Leptospirosis severity may be associated with the intensity of the humoral immune response. Vaccines and previous natural exposure would determine this humoral immune response.49 Therefore the “gene environment” which is impacted by every jab delivered can determine the T cell activation and immune complexes, auto antibodies and cytokine cascade that results not only with future natural exposure to antigen but with every additional jab delivered. The making of a “super antigen” and lethal consequences would at the hands of the vaccine administrators.50This is why Dr. Ron Schultz is on record with a minimal vaccine protocol and has said you better have a good reason for injecting because any time you inject you could kill the patient. The hypothesis is that the disease of Leptospirosis is in actuality immune mediated.50 I believe I have support of this in the reporting by doctors of the use of pulsed steroid treatment to save the kidney in cases where the symptoms are the very description of immune mediated dis ease itself. Patients that were treated with pulsed steroids were too far from immediate medical facilities and were treated in the field situations with high doses of pulsed steroid. Immunosuppressive dosing of steroids was able to save them from renal failure and the immune mediated pathology of the disease until they were able to reach critical care facilities and fluid support for the kidneys.51 This means the antigens in the vaccine are just as capable of producing disease as in the natural infection because of the interaction of the antigen and the immune cells, is the disease! Who Is WHO In The Vaccines World? Vaccine adverse events will remain anecdotall so long as government and industry continue to protect vaccine use. When the only safety or effectiveness studies come from conflict sources - those that stand to profit from the sale and use of the vaccines - we need to understand that corporate integrity or lack thereof is the only unit of measure. Intervet Schering Plough is revving up for their annual vaccine propaganda marketing in the UK again, promoting unsafe vaccines on the anecdotal evidence that there is even a need for the vaccine in the first place.62 The only protection from this marketing mania is to know the lack of science behind both the making and administration of these vaccines. Understand that the client will not have recourse against these marketing giants when their pets become ill. Understand that drug companies are responsible and yet are unable to be held accountable. To the vaccinologists out there, Dr. Ron Schultz says it is an indefensible practice. Culpable responsibility does lie in the hands of the administrator of the jab. Only the informed animal owner will understand this so pass the information forward! Instant Information on ii Leptomania-reference, Dr. Jordon is available to consult with you http://dr-jordan.com/consultations/ - answering questions about veterinary homeopathy. 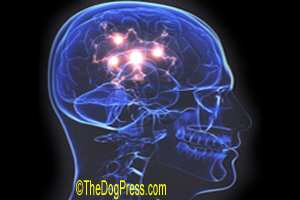 Autism and other central nervous system problems also affect dogs.